Fall is upon us and I am sooo excited about it! One of my favorite things about fall is all of the fun activities there are to do! Especially when you have kids everything about fall seems so fun and magical. 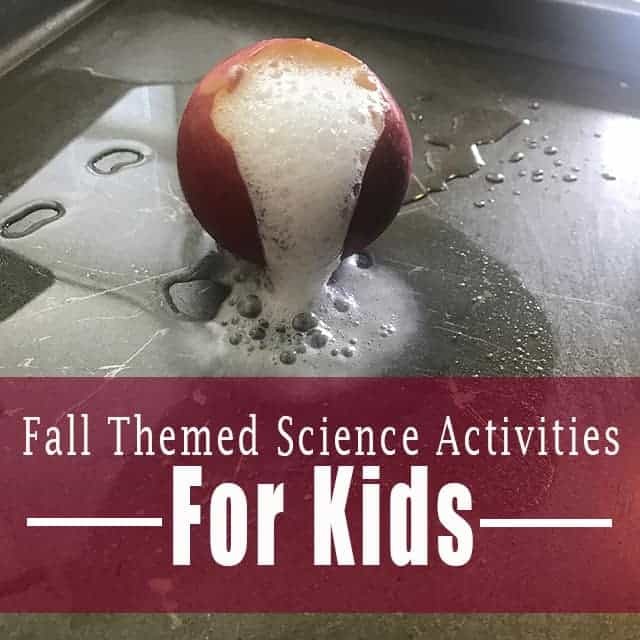 As the weather is getting colder it can be tricky to get outside to play, so I decided I would share some of my favorite fall themed science experiments for kids. I love simple at home “science” projects because they make play fun and educational. I also love that a lot of these activities can be sensory activities as well. I’m always looking for ways that I can incorporate sensory activities into play, so I love using some of these science experiments to do that. I love these fun science experiments because it’s a great way for your kids to learn and play at the same time! And just so y’all know we’re going to start making videos of fun science experiments that you can do with your kids, so keep an eye out on our YouTube channel! So let’s get started! Here are some of my favorite fall themed science experiments! Alright so this activity is so much fun for your kids because they get to watch corn kernels “dance” or “hop” in the water. First, fill your container with water and stir in the baking soda until it is mostly dissolved. Then add the popcorn kernels to the container. Then you’re going to stir in the vinegar! There will be an “explosion” so do this project somewhere that you don’t mind getting a little bit messy! 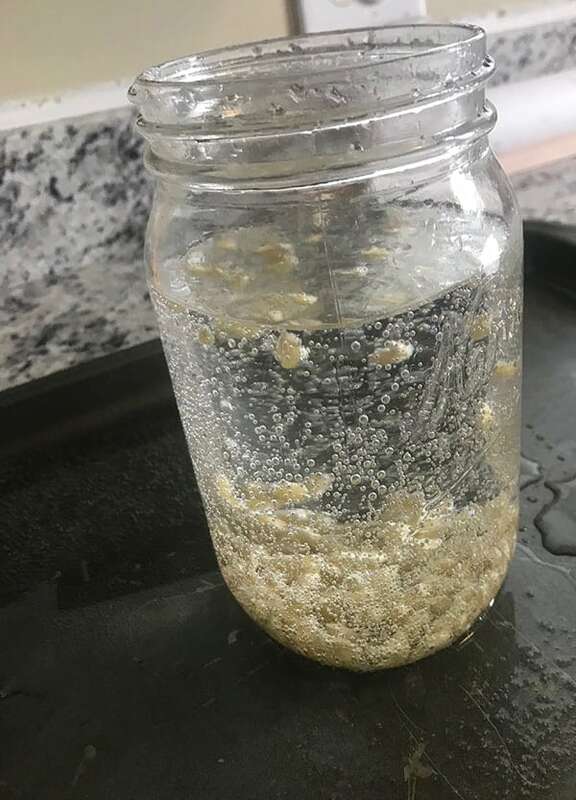 The gas that’s created by the reaction of the baking soda and vinegar causes the popcorn kernels to move around in the container. Your kids will love watching the kernels “dance” around the container and it’s a great way for them to learn! I am a huge fan of this one, not only because it’s a sensory activity, but also because it incorporates pumpkins too! This project is so easy! It’s basically just a twist on the classic oobleck science experiment by making the oobleck inside of a pumpkin. Oobleck is what we call a non-Newtonian fluid, meaning that sometimes it behaves as a liquid and sometimes it behaves as a solid! Your kids will LOVE experimenting with this fun slime! First, open your pumpkin from the top like you’re making a jack-o-lantern. Start to loosen the “pumpkin guts” by scraping the sides of the pumpkin with a large spoon. At this point you have a couple of options…you can totally remove all of the pumpkin guts or you can leave some of them inside the pumpkin to be incorporated in with your oobleck. Personally, I would remove the guts because I’m not a huge fan of pumpkin guts, but you can do whatever you like. Next you’re going to make your oobleck inside of your pumpkin! The basic oobleck recipe is one part water to two parts of cornstarch. I would start by doing 2 cups of cornstarch and 1 cup of water and then go from there. If it’s too liquidy add more cornstarch and vice versa. If you want to add food coloring, slowly add a couple of drops into the mixture. Then you’re good to go! You’re kids will love playing with the oobleck and experimenting with when it’s a solid and when it’s a liquid! I love making my own homemade root beer! This project is fun for kids because the dry ice used in the root beer creates “fog” that is perfect for Halloween. Your kids will love the root beer and the fog that this recipe creates! Disclaimer here: Obviously, you don’t want to let your kids handle or be anywhere near dry ice. Dry ice can be dangerous, so this experiment definitely requires adult supervision! Make sure you wear gloves and handle the dry ice safely. Also keep in mind that you should buy the dry ice right before you plan to use it because it can evaporate pretty quickly if you don’t store it correctly! First off, you want to make this root beer in a well-ventilated area. Also make sure you don’t put a lid on the container you’re making the root beer in! 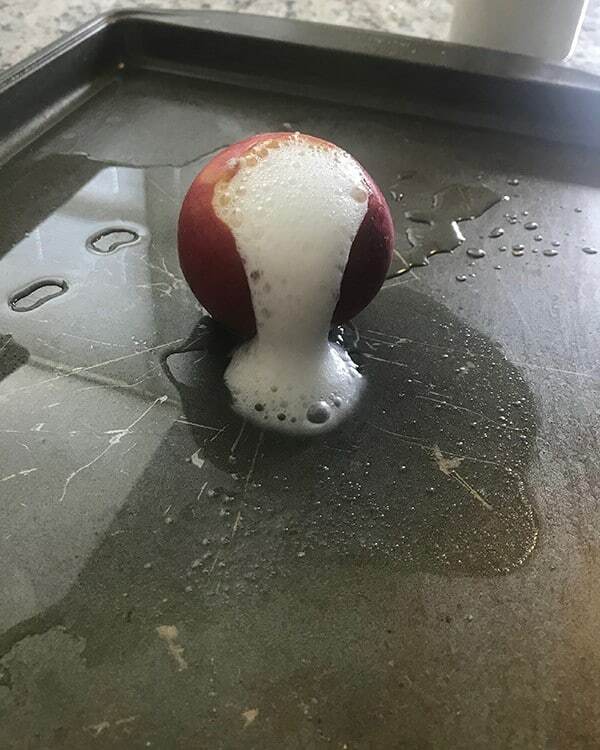 The pressure can build up and cause it to explode! Mix the water, sugar, and root beer extract together in the container. Carefully add in your pieces of dry ice and stir. Stir frequently so that the dry ice doesn’t stick. Serve once all of the dry ice has dissolved! So I realize this isn’t exactly a science experiment, but it’s soooo fun so I had to include it! All you need is a couple of pumpkins and some “bowling pins.” For the bowling pins you can use empty soda bottles, toilet paper rolls, or paper towel rolls! I think using toilet paper and paper towel rolls is great because you can draw ghost faces on them to make this a fun spooky activity! Once you have your pins, you’re ready to bowl! Your kids will love getting to bowl at home with a pumpkin! Pro tip: If you wait until the day after Halloween you might be able to find pumpkins for a pretty steep discount! We feed pumpkins to our chickens, so we stock up the day after Halloween! Getting spooky up in here!! #Pumpkinbowling #Halloween #PacWest ?????? Here’s another baking soda and vinegar science experiment! This time you’re going to make a volcano out of a pumpkin! This is a messy activity so I recommend that you do this outside if you can! First cut your pumpkin open from the top like you are making a jack-o-lantern. I recommend using a smaller pumpkin so you don’t have to use as much baking soda and vinegar! Next clean out all of the pumpkin guts! If your kids like playing with pumpkin guts this can also be an awesome sensory activity! Fill your pumpkin about halfway full of vinegar, and add a couple of drops of liquid dish soap, and food coloring (optional). Then dump in some baking soda! You shouldn’t need too much baking soda to make it explode, but add more if it’s not “exploding” the way you want it to! Since this project is a little messy, you can use these cleaning products from the Grove Collaborative. They’re great because they’re all natural and they’re delivered right to your doorstep. Handy right? This is the same activity as above, but using an apple instead! Using an apple is great if you don’t have a pumpkin on hand or if you want the resulting mess to be smaller (and easier to clean up!) Simply hollow our your apple using a knife or a spoon, fill it halfway with vinegar, add a couple drops of liquid dish soap, and then dump in your baking soda! Your kids will love the fun explosion that results! I recommend doing this activity on a cookie tray because it makes clean up super easy! I love this activity because it’s a great challenge for your kids and allows them to think creatively. Using toothpicks and marshmallows challenge your kids to create a tower (or a haunted house!). You’ll be amazed with all of the creative structures that they come up with! This is a great way for your kids to learn and play at the same time! Are you excited for fall? What activities are you planning on doing with your kids? I’d love to hear about it in the comments below!